So I keep these three “lists” of places that I want to eat in my trunk (I also have a digital version in my phone) – all for places in Atlanta. One Saturday in July, I decided to venture out in the quest for ‘que. 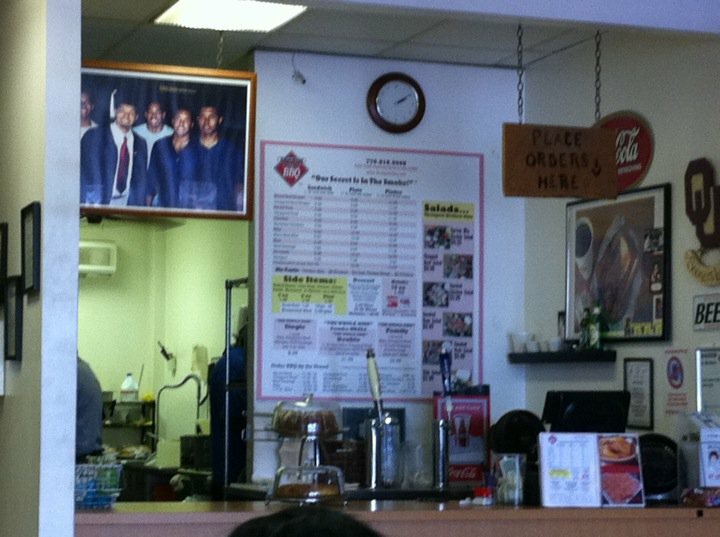 Thompson Brothers BBQ, in the Cumberland / Smyrna area (right across the street from Scalini’s), was next in the rotation. Walking in at mid-day Saturday, the place was about half full. 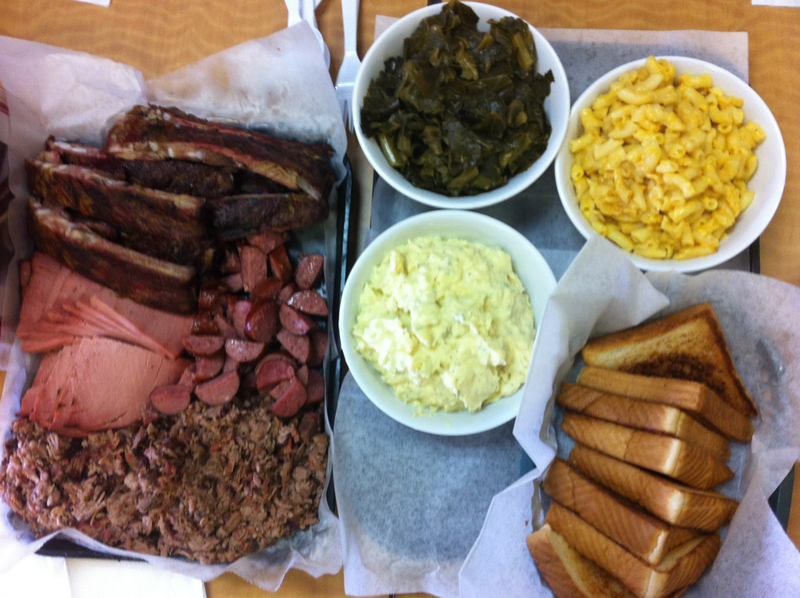 These brothers from Tulsa moved to Atlanta to open a barbecue outpost. As you can see from the menu, whatever the question, “beef” is the answer. I asked the fellow behind the counter what would be a good place for me to start. He suggested the “Whole Nine Yards”. 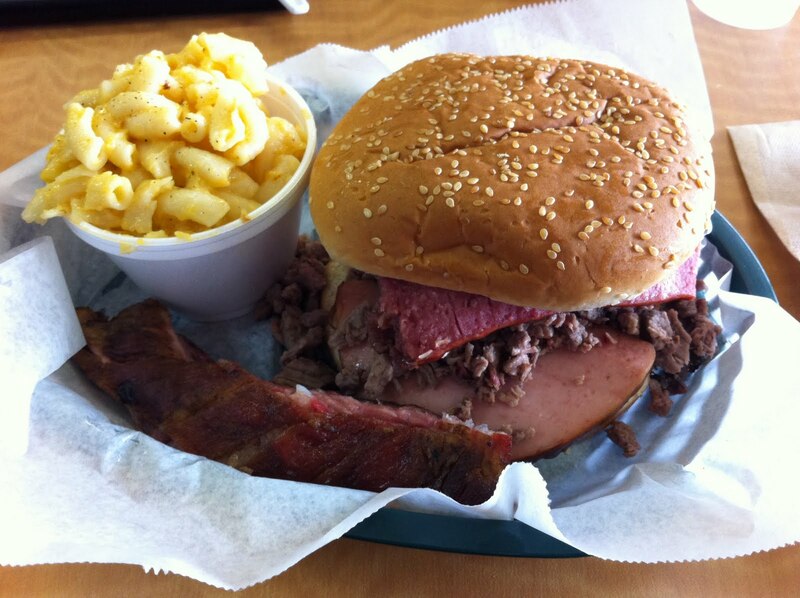 It’s a sandwich of beef bologna, chopped beef brisket and beef sausage, with a side and a beef rib. I took the photo below to get a better “feel” for the sandwich. I’m just a redneck at heart, ’cause I love me some bologna. The brisket is beautifully done and they have the perfect sweet, hot sauce on the table. The ribs are good, too. But I’d suggest the same sandwich I’ve ordered each of three times I’ve been in the past two months. It’s definitely worth a stop if you’re within 10-15 miles. I recently went back with a couple of other folks and we ordered a meal for three. If they had done their part, we might have come closed to finishing.